Civilian Art Projects is pleased to announce two group exhibitions: "Screams & Screens" curated by Panache and "Process & Alchemy: New Directions & Alternative Processes in Screen-printing, Work from the Hand Print Workshop International." Opening reception Friday, June 27, 2008 from 7 - 9 pm. Both exhibitions are on view from June 27 until July 26, 2008. This summer, the galleries at Civilian Art Projects will be overflowing with unique and distinct approaches to screen-printing. The artists curated by Panache - Bert Bergen, Alexander Campaz, Brian Chippendale, Rob Corradetti, Nat Damm, Sohale Darouian aka 333, El Jefe Design, E*Rock, Jesjit Gill, Gunsho, Kayrock & Wolfy, Jason Killinger, Nikck Pimentel aka Planaria, Seripop, Urban Inks and Zeloot approach the print from an individual perspective, bringing to the work a unique "eye burner" aesthetic, a phrase used by Urban Inks, one of the design groups in the exhibition, as heard by the curator. 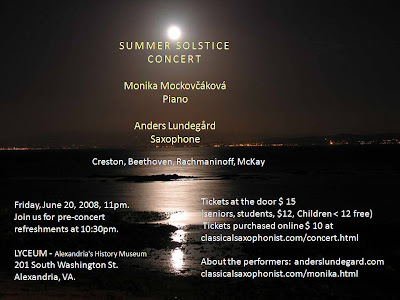 Saturday, June 28, 2008 from 10:00 am - 5:00 pm at the Woolly Mammoth Theatre, located at 641 D Street, NW, Washington, D.C. The fair will feature workshops on business, legal, marketing, and public relations issues relevant to artists in all artistic disciplines. Exhibitors will also host tables with information about their services. This event is free and open to the public. For more information, contact (202) 724-5613. A selection of eleven artists under the age of 35 investigate how contemporary lifestyles effect and re-define the women of this generation. Sponsored by ArtCadeForum.com and the Pink Line Project with live performance art and local music talent. Modern Love celebrates the stellar group of contemporary works of art donated to NMWA by prominent Washington-based collectors Heather and Tony Podesta. The couple's passion for cutting-edge art is highlighted in this selection of photographs, videos, sculptures, and paintings. The exhibition features more than 50 works by internationally-renowned artists such as Cathy de Monchaux, Candida H�fer, Elizabeth Turk, and Jane and Louise Wilson in addition to works by exciting emerging artists. By Ovetta Wiggins, Read Article in Washington Post. NOTE: The American Market is located on Lot N (next to Hampton Inn & across from Gaylord National Resort). 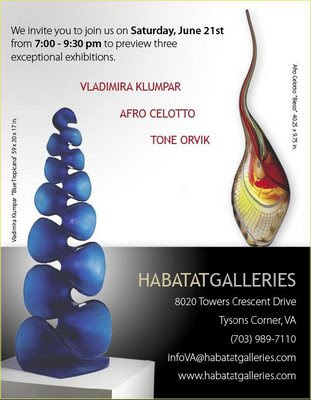 Govinda and Art Whino are two galleries with locations at National Harbor. June 19 - June 29, 2008. The show has been one of the most in-demand performances on college campuses across the US and the Caribbean. Stogie Kenyatta brings a unique interpretation to the stage,where he majestically captures the essence of Paul Robeson. Portraying 10 characters he chronologically takes us thru the life of history's 1ST Black renaissance man & one of America's most complex, brilliant citizens. Magnificently performed without intermission, with props, several wardrobe changes & an inspiring finger-snapping Jazz, Bebop,Gospel, Big band soundtrack. The play opens as Robeson's father, a 15 year old runaway slave, rides the underground railroad to freedom. As laugh -out loud funny & entertaining as it is educational, Kenyatta ages from a 5 year old Paul, to the 70 yr old, world weary warrior that the blacklisted Robeson had become. Youth Leadership Support Network is a violence prevention, arts, education, media and training network based in Washington, D.C. Its mission is to empower youth to express themselves and have a voice in society through intergenerational and diverse leadership opportunities and civic engagement. Now in it’s 10th year, YLSN has worked with nearly twenty thousand youth, hundreds of musicians and artists, dozens of media mentors and networked with sister organizations around the block and around the world. Help Sponsor this gala event, please email by Thursday, June 19th so you can be included in the program. Your support will help produce the show and provide free tickets to area youth. All sponsors will be listed in official programs and publicity. Your support is greatly appreciated. Proceeds go to Youth Leadership Support Network programming. That programming includes workshops later this summer about media and photography, and connecting young people with mentors in the arts. If you are interested in becoming a mentor for burgeoning young artists, please contact Kendra Penry. Lecture: Aux Trois Crayons: The History, Science, and Technique of the Three Naturally-Occurring Chalks in Traditional 14th-19th Century Old Master Drawing. Mr. Mayhew is a talented researcher and artist who has done extensive work on the subject of natural chalks. He will provide great insight into the origin and use of these art materials, focusing on the dynamic range and effects that can be achieved with natural chalks. This Friday, June 20th, International Arts & Artists hosts the second in its "Hillyer Open Mic Events" (HOME) spoken word poetry series. In keeping with IA&A's mission of promoting cross cultural understanding through the arts, the HOME series provides a forum for expression, exchange of ideas and artistic collaborations. This month's featured HOME poet is Derrick Weston Brown. Brown holds an MFA in creative writing from American University where he studied poetry under Cornelius Eady and Henry Taylor. He teaches two poetry classes at The Duke Ellington School of The Arts and is the Poet-In-Residence at Busboys and Poets bookstore and restaurant. This event is free for IA&A members and $5 for non-members. All proceeds go towards supporting Hillyer's local artist series and public programs in the gallery. Also this Thursday, June 19th don't miss "Poetic Voices from the Harlem Renaissance to Today" at The Phillips Collection (6:30pm) featuring readings by E. Ethelbert Miller, poet and director of the African American Studies Resource Center at Howard University, and Hari Jones, curator of the African American Civil War Museum. Selected readings will highlight issues facing African-American artists during the Harlem Renaissance and Great Migration. Artist Fred Joiner will moderate a conversation that examines the poetry of Langston Hughes and the writings of Jean Toomer to explore the theme of migration both past and present. This event is free with a suggested donation. These events offer a special opportunity to experience a range of work by established and emerging literary artists living and writing in D.C., amidst the settings of one of Washington's most respected modern art museums and one of its most up-and-coming contemporary art galleries. Theme: "Old and New Baltimore"
E. Ethelbert Miller, poet and director of the African American Resource Center at Howard University, and Hari Jones, curator of the African American Civil War Museum, will read from work highlighting issues facing African American artists during the Harlem Renaissance and Great Migration. Artist Fred Joiner will moderate a conversation that examines the poetry of Langston Hughes and the writings of Jean Toomer to explore the theme of migration, both past and present. In collaboration with the American Poetry Museum. 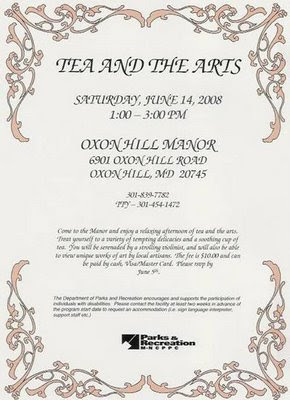 You are invited to join Baltimore Artists for Obama on July 12th, 2008 for the Art for Obama Open Studio Tour, a citywide open studio event. 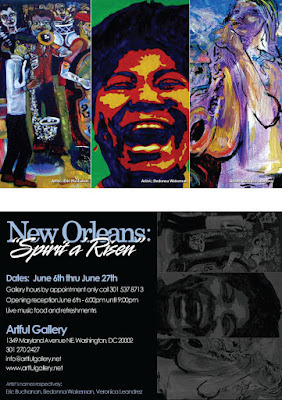 This event will be part of the Art For Obama Series sponsored by Bruce McBarnette. We have the Democratic nomination, now we need the White House! artists who may be interested in joining us. Complete the attached registration form and submit by June 20th. Upon receipt of your registration you will receive additional information. There will be a few postings while I'm away. Arlington Arts Center seeks contemporary fine artists working in all media for solo exhibitions in our 2009 season. Ten to fifteen artists will be chosen to show in seven separate galleries — or on the grounds, in the case of outdoor sculpture. Jurors include: Anne Ellegood, Curator for the Hirshhorn Museum and Sculpture Garden, and Philip Barlow, notable Washington, D.C., art collector. Deadline for applications is July 1st; notifications will go out no later than September 30th, 2008.
flamenco and Indian dance performances, a children’s mask-making workshop, film, fire-dancing, and performances by dozens of bands. All events are free and open to the public. Thursday, June 12: Music & The Law Workshop; Guided Tours; Artist Social II; VARC Meet & Greet; Scion/PinkLine Art of Sound; Capitol Pecha Kucha Night. 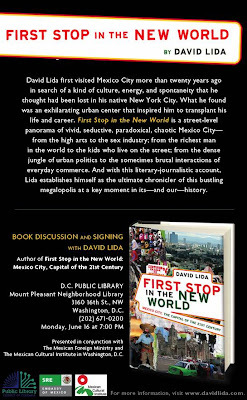 Friday, June 13: Book signing by PostSecret author Frank Warren; a movie on witchcraft; an original play titled “Sole Survivors” accompanied by a mariachi band; comedy by Off the Wall; flamenco by Suspiro Andaluz; a baseball painting party; and live music by the dead husbands, Attention Shoppers!, PupTent, 302Acid, and other local bands. 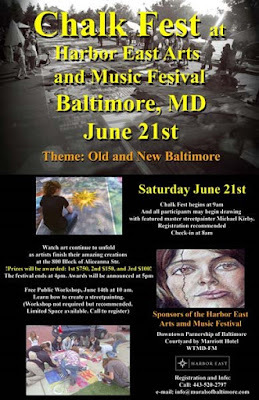 Saturday, June 14: Sculpt-a-story and seed mosaic workshops for children; the first-ever fire-themed Artomatic Art in Fashion Show; Tehreema Mitha Dance Company performing dances from India; the ever-popular Flights of Fire; and live music by Yumi, Randy Colors, Elikeh, DoS, and more. Free tours of Artomatic at 2 p.m. and 3 p.m.
Sunday, June 15: Artomatic’s final day will include a mask-making workshop and storytelling for children ages three and up; jukebox movies; CityDance Ensemble, and live music by Icarus Rising, Society of Strangers, Betsy Wright, and other performers.
. For more on children’s activities, visit http://www.artomatic.org/kids. Friday, June 13, from 7 p.m. to 8 p.m. Visitors to Artomatic can also watch a video presentation of some of the PostSecret postcards Warren has received in the Artomatic Film and Video Theater, which is located on the ninth floor. The videos will be shown before and after the book signing. Stop by for a mixture of poetry, music and comedy in the SpeakEasy on Friday, June 13th starting at 7 p.m.! Saturday in the SpeakEasy kicks off at 6:30 p.m. with the acoustic version of the band Little Pink followed by poetry and spoken word until midnight. 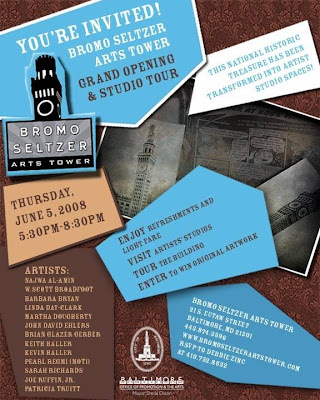 Saturday, June 14 at 2 p.m. and 3 p.m.
It’s not too late to see Artomatic! 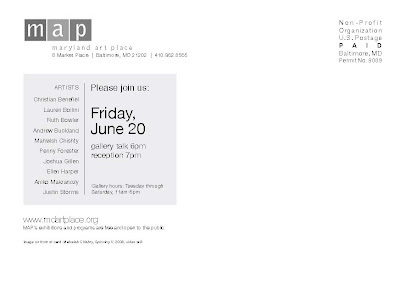 Please join Robyn Cooke before Artomatic closes for a comprehensive tour of all art forms. The first tour at 2 p.m. will cover floors 4 – 7 and the second tour at 3 p.m. will cover floors 8 – 12. Both tours will depart from the lobby at 2 p.m. and 3 p.m. respectively. Glass Art Tour of Artomatic, Sunday, June 15 at 2 p.m. Please meet in the lobby of Artomatic between 1:45.-2 p.m. for a guided glass tour of Washington Glass School Artists exhibiting at Artomatic. Join Washington Glass School artists as they lead you directly to all the great glass on exhibit this year. The tour will depart the lobby at 2 p.m. We will then ride up together to the 11th floor to begin and walk down to the 4th floor so comfortable shoes are suggested. Artomatic’s closing day is June 15. For more information, call the Artomatic info line at 202-339-9007 or go to www.artomatic.org. While underground paid parking is available visitors are strongly encouraged to take Metro to Artomatic. Old Bones and Artifacts reveals two of Dave Moreland's explorations back in time and through the history of art. The exhibition features a selection of his newest repoussé pieces, drawings, and constructions inspired by classical artwork and its preservation. The two different explorations manifest themselves into different art forms reflecting varying inspirations: his repoussé pieces fuse acrylic paints, metal and fabrics together to create textured images inspired by classical art and Greek mythology, while his drawings and constructions are a direct result of his efforts to connect with Native American people and their history. IA's Hillyer Art Space is funded in part by the DC Commission on the Arts and Humanities, an agency supported in part by the National Endowment for the Arts. This program also depends on the support from locals of the greater DC area. 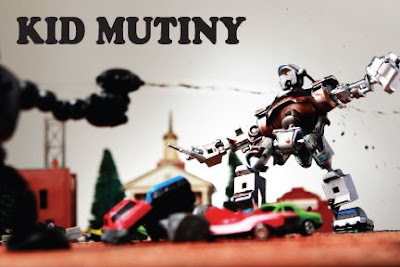 Kid Mutiny takes a sampling from a movement both fascinated with the material culture of childhood and rebellious against what it told us to be. Stimulated by the burgeoning subculture of vinyl toys and escapist narratives, the show objectifies violence as a plaything, a readily available commodity in an apocalyptic world. Mutations of gender and form, fiction and reality, and man and machine create fantastical narratives far darker than those we enacted as children. JOIN CIVILIAN ART PROJECTS for a talk with Jason Zimmerman and a closing party for his exhibition "Feel better, longer." "Feel better, longer" is an installation based exhibition where the artist explores the notion of "mediating" nature and human nature. To commemorate a time that has passed, to relish a moment of desire or fantasy, or to temper certain pervasive clichés, humans go to great lengths to negotiate our natural state and our natural environments. Featuring work by: David Byrne, Colby Caldwell, William Christenberry, Steven Cushner, Jason Gubbiotti, Max Hirshfeld, Franz Jantzen, Robin Rose and Sharon Sanderson. The National Endowment for the Arts released a study of census data on working artists in the United States. * 2 million people earn a living as an artist today compared with 1.7 million in 1990. * The Washington, DC region has the fourth-highest number of artists in 50 metro areas in the United States following Los Angeles, New York and Chicago. * There are 47,000 artists in the Washington metro area...10,000 in the district alone. This is the last week to view site-responsive installations by Mariah Johnson and Valerie Molnar at Transformer - the last set of artists' projects in the Here and Now exhibition. Interested in storytelling, narrative, and memory, Mariah Johnson (Los Angeles, CA) constructs sculptural arrangements from bed linens, particularly sheets and pillowcases that she purchases from second-hand stores. Folded and piled on simple shelves or chairs, as well as on and around the significant or quirky architectural features of an exhibition space, these folding and stacking activities are akin to creating paintings with brush and canvas. The interactions among color combinations, printed patterns, and folding systems become visually engrossing and reference abstract or minimalist paintings. Valerie Molnar (Richmond, VA) knits paintings. Incorporating a meticulous, repetitive, and unassuming process, Valerie's handcrafted work communicates emotions that machine-made items can never produce. Her knitted wall paintings are presented in non-utilitarian form, with art historical references and eye-candy color schemes that suggest, "Look and analyze, but do not touch." When viewed at a distance, the texture disappears and the object-ness of the knitting creates an image. The friendliness and familiarity of the 'hand knitted object' shifts to suggest painting on the wall; the two coexist in flux, not as versus but as marriage. Blake Gopnik wrote about these artists' installations at Transformer in this past Saturday's Washington Post: click here. Tony Gittens has been with the DC Commission on the Arts and Humanities for as long as I can remember. As executive director of the DC Commission on the Arts and Humanities, he has helped the city bring the artscene to life over the past eleven+ years. Before his watch, I don't recall the amount of public art, funding opportunities and programs that are now available to local DC artists and art organizations. It's been a pleasure to witness the changing face of public art under Tony Gitten's watch. From my view, he's put together a great team of players who are working diligently to keep the arts centerstage in Washington, DC. As well as thanking him for his commitment and dedication, I wish him many more successes in his next endeavors! Read today's WaPO article about Tony Gittens career with the DC Commission on the Arts and Humanities. In the past decade, the arts commission has raised its visibility through a number of programs. The agency initiated the Party Animals project, a public display of donkeys and elephants designed by artists, which it followed with a similar public art exhibition of painted pandas.The commission revived the honorary Mayor's Arts Awards and managed the art program for the Washington Convention Center and the John A. Wilson Building. "The commission felt the public doesn't have to go to museums to see art," said Gittens. Associate Curator Elsa Smithgall will discuss the historical, artistic, and socio-cultural context of The Migration Series, Jacob Lawrence's 60-panel masterwork of narrative painting. This exhibition will be the first to concentrate on the body of works created during Richard Diebenkorn’s formative and relatively little-known Albuquerque period of 1950-52, including paintings, works on paper and a rare sculpture made from welded scrap iron. This major retrospective exhibition will feature photographs taken by Brett Weston (1911–1993) from the 1920s through the 1980s. Throughout his career, Weston manipulated the technical qualities of the camera to frame objects close up and push subject matter toward abstraction. These experiments placed him at the forefront of non-objective fine-art photography. Co-organized by The Phillips Collection and the Oklahoma City Museum of Art. Project 4 gets a thumbs up for contemporary art in Prince of Petworth. Richard Edson / "Beyond the Valley of the Micro Bops"
photographs from the series, "Beyond the Valley of the Micro Bops"
Annie Adjchavanich returns to present an exhibition by actor Richard Edson* in the gallery at Jackie's, Silver Spring, MD. Mark your calendars now and tell your friends! This show also runs concurrently with the AFI/Discovery Channel Documentary Festival - Silver Docs. *Actor/musician Richard Edson, easily recognized for his unforgettable roles in Jim Jarmusch's, 'Stranger Than Paradise," Spike Lee's, "Do the Right Thing!" and character rolls as the joyriding valet Smyznyk in "Ferris Bueller's Day Off," and Monix in "Starsky and Hutch." Special thanks to Jackie Greenbaum and Trevor Young for making this exhibition possible. Thanks for telling your friends. See you there! “Reincarnations” Mixed-Media Works from Found Objects. Curated by Steve and Linda Krensky, in conjunction with Zenith Gallery. Steve Krensky probably sees more art gallery shows than anyone else in town. Simply stated he's an inexhaustible art hound. His wife runs the Lightstreet Gallery in Baltimore. Artworks need not be made entirely of found objects, only primarily of recycled, reused, and/or renewed materials. It is preferred that artwork be “for sale.” Large scale pieces are encouraged. 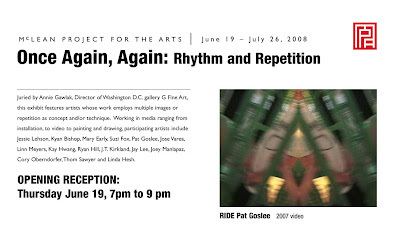 The show dates are July 14 – Sept. 20, 2008 at 1111 Sculpture Space (1111 Pennsylvania Ave. NW, D.C. — the corner of 12th and Pennsylvania). - To enter, send .jpg photo files of the work, along with details (title, size, medium, date, price allowing for 50 percent commission), along with resume/artist statement to art@zenithgallery.com. **Note that display area is the entire lobby of a building with law offices, so nothing political or controversial with nudes especially verboten. Submission deadline is July 1. 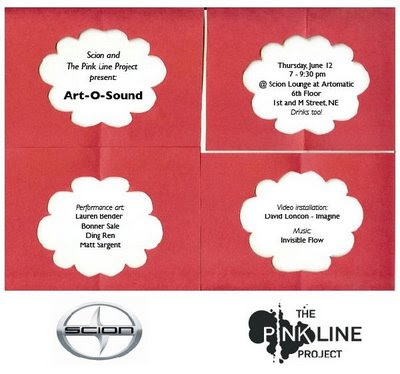 Scion and The Pink Line Project present ART-O-SOUND @ ARTOMATIC 2008! Juried by Annie Gawlak, Director of Washington D.C. gallery G Fine Art, this exhibit features artists whose work employs multiple images or repetition as concept and/or technique. Working in media ranging from installation, to video to painting and drawing, participating artists include Jessi Lehson, Kyan Bishop, Mary Early, Suzi Fox, Pat Goslee, Jose Varela, Linn Meyers, Kay Hwang, Ryan Hill, J.T. Kirkland, Jay Lee, Joey Manlapaz, Cory Oberndorfer, Thom Sawyer and Linda Hesh. 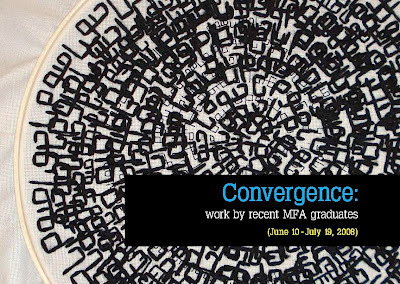 Students who have taken classes at McLean Project for the Arts through the partnership between MPA and the Corcoran College of Art + Design during the past year are featured in this group exhibition. One of my favorite things is to drive through beautiful countryside and experience the movement, space and beauty of a place. The last leg of our trip on US 301 enroute to the Rawls Museum Arts, turned into a memorable pastoral drive. We passed one road sign that said Welcome to God's country, Don't drive like HELL through it. We ambled on to Courtland, Virginia, took a side road and discovered an old peanut processing plant. No longer in use, the plant stands as a champion to bygone industry. We discovered a quaint Episcopal Church on Main Street in Courtland. I wished we'd had more time to explore. We headed to the opening reception of the "Rawl Museum Arts 2008 juried National Exhibition". Area groups frequent the center for meetings and events. I was told that members of a local garden group admired my painting, "Tableau." As the Rawls Museum Arts website mentions, "Its goal as a regional art museum is to engage the surrounding communities in experiencing significant art, artists, and ideas of our time. The permanent and special collection displays present a wide range of modern and classical art, emerging artists, regional artists, and displays from the Virginia Museum of Fine Arts." While helping myself to the sweet punch that was served, I met several of the exhibiting artists and Board members. Nancy Sausser of the McLean Project for the Arts was the juror for this exhibition. "Tableau," 30" x 24" acrylic on canvas - Anne Marchand, is on the wall to the left. Tracy Featherstone of Hamilton, Ohio featured an installation of work based on a recent trip to Ghana, West Aftrica in the Francis Gallery. See Earlier Post for a full list of exhibiting artists. Celebrate the opening of The Cinema Effect Part II: Realisms with special live performances by Maxi Geil! & Playcolt and DJ People’s Champion. Maxi Geil! & Playcolt is a music project conceived by artist Guy Richards Smit composed of art school pals and a revolving cast of friends. The group’s music embodies Smit’s modern day vision of the thrill of 80’s New York, and the East Village Art Scene. 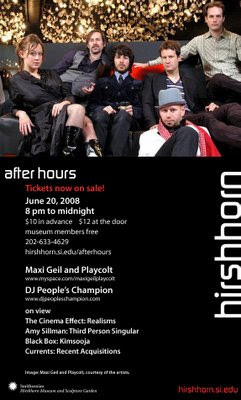 DJ People’s Champion, formerly of the See You Next Tuesday parties at the Wonderland Ballroom, will soon be heading back to Berlin, but not before tearing it up at After Hours. Don't miss the opportunity to view Directions — Amy Sillman, third person singular, a new rotation of Currents—Recent Acquisitions and Black Box: Kimsooja in the Lower level. June 10 - July 19, 2008. Featuring selections from Transformer's FlatFile program, the Flat Mates exhibition presented in the Community Gallery at the Arlington Arts Center will include work by current FlatFile artists April Behnke, Cynthia Connolly, Ryan Hill, Lisa Marie Thalhammer, and Lauren Vincelli, among others, as well as new artists Natalie Cheung, Lisa McCarty, and Tang. Launched in spring 2007, Transformer's FlatFile program highlights an eclectic collection of works in a variety of two-dimensional mediums including photography, painting, drawing and printmaking approximately 16" x 20" in size and smaller. Featuring works by emerging artists based regionally, nationally and internationally, FlatFile is open to both artists that have exhibited with Transformer in the past, and those who are new to Transformer. Flat Mates will be presented at the Arlington Arts Center in tandem with She's So Articulate, an exciting exhibition that "sets out to expand how gallery-goers think about the relation of narrative to contemporary art by African-American women." Opening receptions for both Flat Mates and She's So Articulate will take place on Friday, June 13. SHE’S SO ARTICULATE sets out to expand how gallery-goers think about the relation of narrative to contemporary art by African-American women. The show includes selected works and room-filling installations by 11 artists: Maya Asante, Renee Cox, Stephanie Dinkins, Djakarta, Nekisha Durrett, Torkwase Dyson, Faith Ringgold, Erika Ranee, Nadine Robinson, Renee Stout, and Lauren Woods. 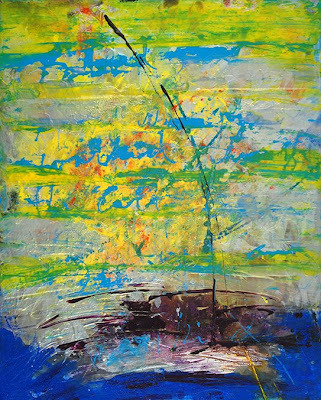 Works by nationally-known artists working in the encaustic medium. Curated by Virginia Commonwealth University painting professor Reni Gower. Meet the WSS Faculty, register for classes, and see the new building. The Washington Studio school offers art classes in painting, drawing, and sculpture. Located near Dupont Circle in Washington, D.C., the Washington Studio School is a community of serious artists and art students dedicated to the practice of visual art. Classes emphasize working from life and are offered to adults and high school students. The DC Commission on the Arts and Humanities has four new Calls for Artist Entries. The DC Commission on the Arts and Humanities (DCCAH) in collaboration with District Department of Transportation (DDOT) and Councilmember Tommy Wells' Office is seeking artists to create artistic designs to enhance the standard bike racks and create designs for unique bike racks that will be placed in various locations citywide. Artists are encouraged to incorporate their interpretations of the "DC experience" into their artwork. Artists may also wish to consider particular locations for placement of their work and create designs specifically suited for each location. This opportunity is open to all local, national and international artists in all disciplines with preference given to artists who reside in the District of Columbia. Local art teachers are encouraged to submit on behalf of their art students. The DC Commission on the Arts and Humanities (DCCAH), in collaboration with the Saint Elizabeths Hospital (SEH), seeks an artist or artist team to design and create a suspended public art installation in the interior main staircase of the new hospital currently being constructed. The work will be visible outside of the main entrance to the clinical hospital. The artist will be required to work with selected patients in the design and execution of the suspended installation or facilitating at least two workshops where patients would create their own work that would be considered for the patient gallery. This opportunity is open to Mid-Atlantic Artists with site specific experience and/or public art experience. The DC Commission on the Arts and Humanities (DCCAH), in collaboration with the Saint Elizabeths Hospital (SEH), seek artists or artist teams to design and create up to four (4) site-specific indoor murals in public areas of the new hospital currently being constructed. The artists will be required to work with selected patients in the design and execution of the murals or facilitating at least two workshops where patients would create their own work that would be considered for the patient gallery. Adventures of Hoogrrl! : Pink Panel review - Passion and Inspiration: "a Link"
New Orleans: "Spirit a Risen"
The central cinematographer of Mexico's golden age of cinema, Gabriel Figueroa (1907–1997), played a key role in establishing the nation's visual heritage. A brilliant master of chiaroscuro, he developed a unique style based on his principle of “curvilinear perspective” that merged the latest Hollywood technique with the pictorial art of Mexican muralists Diego Rivera, José Clemente Orozco, and Rufino Tamayo. Figueroa's commitment to Mexican national identity and his country's social issues remained firm: “My art has Mexican nationalism engraved everywhere.” He broke new ground and left an indelible mark on cinematography around the world. The Gallery's presentation of six restored 35mm prints is made possible through the cooperation of the Mexican Cultural Institute and Filmoteca de la UNAM. Special thanks to Ivan Trujillo, José Manuel Garcia, Linda Lilienfeld, and Pablo Gutierrez Fierro. An exhibition of Figueroa's work at the Mexican Cultural Institute, 2829 16th Street NW, Washington, DC, will take place from November 2008 through January 2009. Gabriel Figueroa: Cinematographer is composed largely of still photographs, posters, and archival documents and is one of the most comprehensive retrospectives ever of the work of this Mexican artist. Distinto Amanecer's tale of labor union intrigue and corporate crime is set in the shadowy cabarets of Mexico City where Pedro Armendáriz, haunted by sleazy government officials and aided by sultry Andrea Palma, probes the murder of a friend. 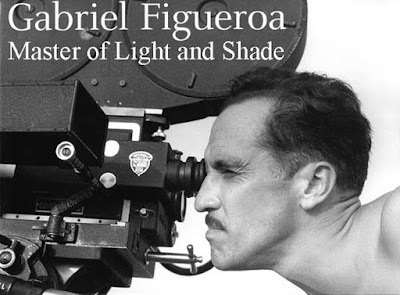 Although usually associated with dramatic Mexican skies and rural landscapes, Figueroa was equally adept at capturing bright lights and dark alleys for the noirish melodramas of Mexico's golden age. (Julio Bracho, 1943, Spanish with subtitles, 35mm, 108 minutes) Antonio Saborit, Dirección de Estudios Históricos, Instituto Nacional de Antropologia e Historia, México City, will introduce the film. A short story by B. Traven lies at the heart of Marcario, a mythical tale about a peasant's chance encounter with the Grim Reaper. When Death grants him magical healing powers, Marcario is powerless to defend himself against the church and the local villagers who accuse him of heresy. Figueroa's chiaroscuro, suitably otherworldly, won an Oscar nomination for best cinematography. (Roberto Gavaldón, 1959, Spanish with subtitles, 35mm, 91 minutes) Gabriel Figueroa Flores, son of the cinematographer, will introduce the screening. Abstract paintings and new art books from Thames and Hudson. Join us as we bring Making Herstory 3: Connected Sisterhood, an art exhibit celebrating the visual art of women in the DC/MD/VA area to Washington! For more information about the exhibition and the artists, visit the Making Herstory at http://makinherstory.blogspot.com/. Special Note: Authentic Art Consulting and The ThickArt Collaborative have joined Design Scheme Interiors, LLC, Unity Health Care, Inc., The Ward 7 Arts Collaborative, and the Decorators' Alliance of North America (DANA) to help brighten the lives of residents East of the River in Washington, DC through Unity Health Care's East of the River Key Corner Project. AAC and TAC will be requesting artists and guests to bring to the reception donated books, school supplies and art supplies for children ages 2-10 to contribute to a new children's reading corner and patient waiting room at Unity's East of the River Health Center. Aaron Gallery presents an exhibition of paintings by Erica Rukin and metal sculpture by Brad Howe. 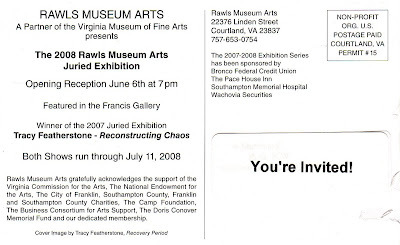 Join me at The 2008 Rawls Museum Arts Juried Exhibition. I'll be heading down to the opening on Friday. Since we'll be so close to Richmond, it'll be a good weekend to catch a show at the Virginia Museum of Fine Arts. The Rawls 2008 National Juried Exhibition represents artists selected by Juror Nancy Sausser, Exhibitions Director at McLean Project for the Arts. A sculptor and arts writer as well as a curator, Sausser's writing has been featured in publications such as the Washington Post and FiberArts Magazine. The Francis Gallery will feature the 2007 Winner Tracy Featherstone with her installation titled Reconstructing Chaos. Tracy is the winner of the 2007 National Juried Exhibition juried by Lia Gangitano, founder of Participant Inc. NYC. Tracy is the Assistant Professor and Foundations Coordinator at Miami University. 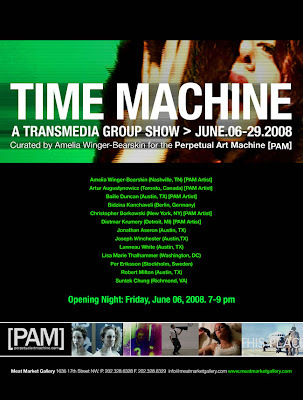 Both exhibitions will be open through July 11, 2008.
a group show featuring paintings and photographs. William Adams - painter. My paintings contain references to the figure, nature and dreams. My paintings attempt to capture a thought or a memory. The arrangement and choice of imagery may suggest a narrative and give the work surrealistic overtones. I refer to my paintings as an automatic pilot/ spontaneous combustion creation, allowing the imagery to emerge on the canvas, while absurd accidents occur in the painting process and at times remain. The layering of elements are imposed on one another, until a harmony is achieved. Thus, the evocation of memory leads me to act and a painting is born. S. Gratz - artist photographer. 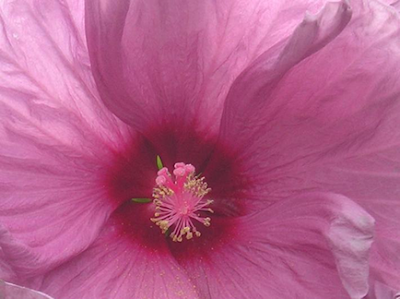 Mr. Gratz is an artist living and working in Washington, D.C.
Stoff Smulson - photographer. Stoff was born and raised in Washington, D.C. He is a member of the art collective Decatur Blue. Veronica Uribe - painter. Veronica, who lives and works in Bogota, Colombia has shown her works in various solo and group exhibitions around the world including Australia, Canada, Colombia, New York, and Spain. She contributes three new series of works for her first show in Washington, D.C. In these paintings she explores "emotional mappings." Moments of emotional transit can be mapped, they can be placed on a surface to be retraced and found on a time and spatial plane. They act as geographical locations and points where both the roughness and the easiness of landscapes can be metaphors of emotional situations. 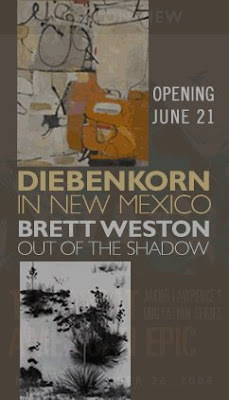 Opening: Thursday June 5, 2008, 6:30-8:30 P.M.
Exhibition of paintings and works on paper.